Awesome idea though my eyes totally glazed over once you got to the actual computery bits. Totally pinned it though so now my tens of board followers will know too. May this be bigger than pinecones! AWESOME!! Totally pinning this… and then hopefully trying it later. You rock! Love this! Thank you for posting! 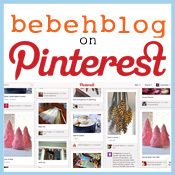 Would love to add you to my Pinterest Directory! This is awesome! I can’t wait to get home and try it out!! What a great idea, my blog traffic has definitely seen the benefits of people pinning my posts so am excited to try this. I loved this so much, I borrowed it :) Thank you!!! I made mine with a red border, but overall, I’m a copy cat. Thank you for this wonderful tutorial! P.S. How did you add the tweet button and the pinit buttons to your posts? I’ve been rattling my brain trying to figure it out. I’m pretty new to Thesis. Do you have to make the pinit button on every page individually or is there a way to put the code into the custom php area? This is a great idea! I just gave my blog a makeover and I’m thinking I definitely need to add this. Thanks for sharing!